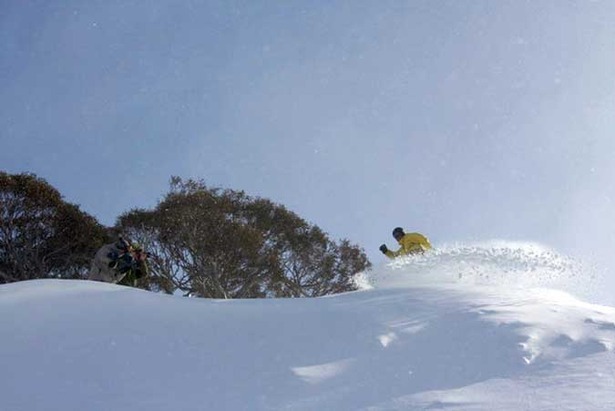 In New South Wales the biggest resort, Perisher, has had more than four inches of fresh snow so far, with more falling. "It's really chucking it down in Perisher right now! We've had 11cm of fresh snowfalls today, with heavy falls this afternoon and it is still coming down!" said a resort spokesperson. "The Weather Bureau says that it should continue to snow all night and into tomorrow, so fingers crossed this is the big one we've been waiting for!" The resort has a natural snow depth of 24cm (nine inches) but deeper snow in areas covered by snowmaking, temperatures are around -2C. 24 lifts are planned for operation tomorrow, with Club Penguin Tube Town, the PlayStation Slopestyle Park, a mini park at Blue Cow and a Rider X course at Yabby Flat all open. Other ski resorts in the region are also reporting good snow falls, Mt Buller had had 3cm (over an inch) of new snow this morning and much more (as yet unmeasured - everyone was out skiing) during the day.